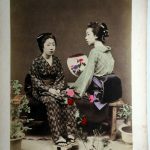 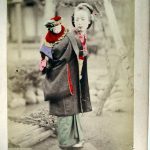 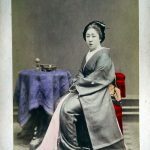 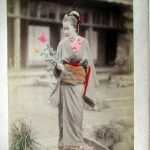 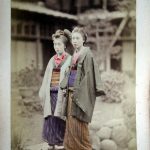 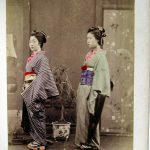 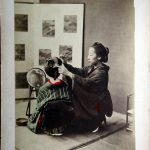 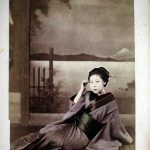 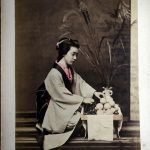 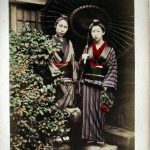 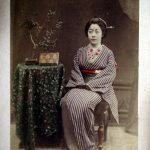 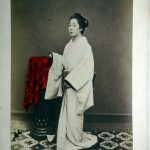 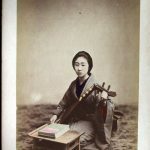 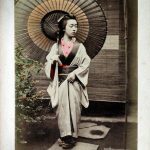 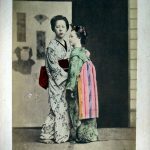 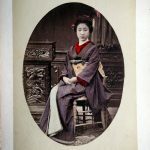 My post yesterday on this blog showed part of an album of 25 Japanese collodion prints. 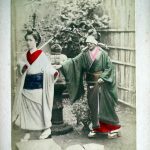 They are places and landscapes of Japan in the 19th century. 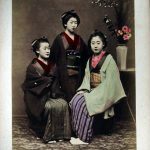 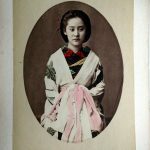 The other side of the album has 25 portraits of Japanese ladies and girls. 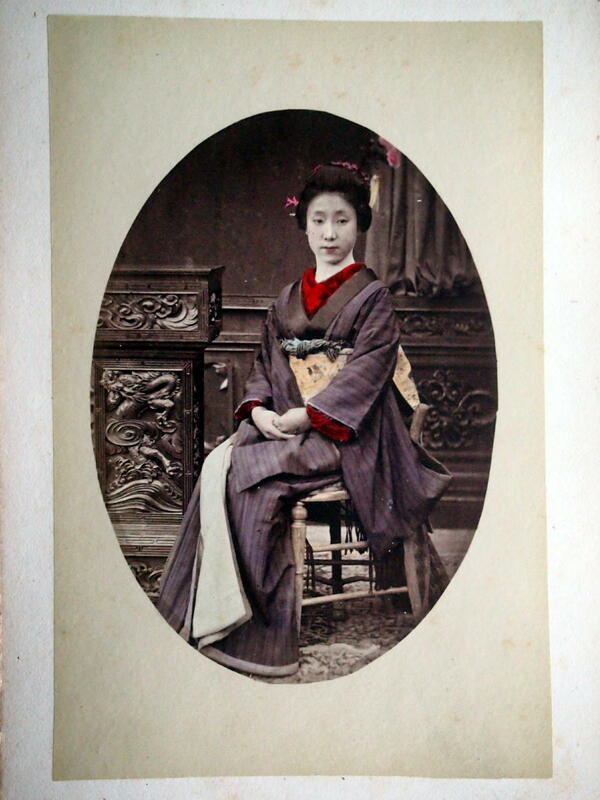 These albums were usually printed and hand coloured for visitors to Japan as souvenirs. 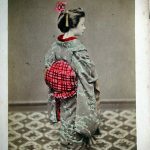 I have quickly copied these photographs to share here. 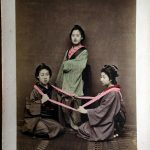 I find them fascinating. 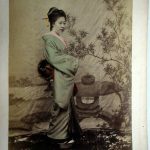 The exposures were all for a second or more, and are carefully posed and structured. 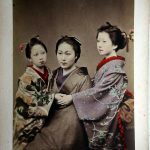 My guess is that a lot of the “models” are friends, family and servants of the photographer. 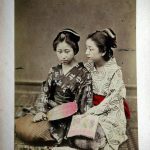 I hope to do research to find and “guess” at a little more of who they are and where these photos came from. 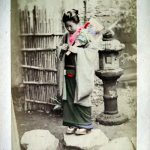 I deliberately said “are” as they live in these photos. Here is a gallery of the portraits, click each one to see a larger image.